Is Outsourcing the Solution to the AI Loom? Conventional corporate operations have survived for decades despite the constant evolution brought about by innovative developments in administration, business, and of course, technology. These modifications consistently witnessed in the corporate sector have been applied at different layers of organizational structure and have resulted in a much-improved climate that all businesses benefit from today. But it seems that the days of the conventional corporate structure are numbered with the present incorporation of artificial intelligence in practices slowly paving a way for a complete overhaul in the sector. The stats do not look good for those hoping for some respite as more jobs are bearing the brunt of the transition towards an AI centered corporate environment. Many AI advocates believe that the amazing innovation is bound to replace up to 40% of the corporate workforce in the near future with lots of companies already making massive investments to that end. Regardless of the side in the argument one chooses to stand by, it is not erroneous to accept that AI will indeed play a crucial role in the next transformation the corporate world is going to witness; one can only hope that it doesn't lead to the complete desolation of the labor market. The impending shake-up facing corporate structure is bound to threaten certain jobs a lot more than others. The jobs that are most likely to suffer are those that require a little intellectual contribution, and more importantly, no intuitive input. Though this corporate function is mostly outsourced to expertise in emerging countries to cut down on costs, it is bound to be overhauled for an AI option known as chatbots. Chatbots consist of innovative computer programmes that can simulate natural human interaction, which is then applied in conversations with real people. This impressive technology can conduct conversations with customers and clients, ask and answer very important questions, and offer solutions to critical issues being enquired about. The biggest advantage of using the AI solutions is the fact that it continuously functions all through the day without a need to rest whereas conventional customer care personnel usually work in shifts of 6-12 hours. The complete incorporation of chatbots is bound to lead to the loss of millions of jobs, and its actualization is entirely feasible as the cost of installing and maintaining the chatbots is quite lower than both the conventional corporate medium and the outsourcing route. Web designers are a dying breed that is still managing to put up a fight to stay relevant in the ever-evolving internet tech market. The launch and success of several web buildings tools have cost numerous web design jobs with individuals and businesses now being able to get a website up and running in no time with just a few clicks. Although the proliferation of these easy-to-use web building tools like WordPress, Wix, and Weebly, web designers haven’t been completely removed from the scene as their expertise remains very relevant since most individuals just do not know how to make use of these easy-to-use building platforms. The end, however, may still be in sight for this critical occupation as web building tools are bound to undergo further modifications that will make their operation even more comfortable than they already are. Although the dim future of web designers isn’t set in stone, it isn’t farfetched to picture a circumstance where these innovative individuals aren’t needed at all. It is not uncommon for companies and businesses to hire personnel for sending outreach emails to millions of prospective partners they intend to collaborate with. The job which requires sending hundreds of emails daily and organizing replies accordingly is quite tedious and may need more than one individual to be properly executed. Impressive developments in e-mail marketing technology have, however, ensured that this once tedious task can now be completed with just a few easy clicks. With numerous email marketing tools already available at one’s disposal, the process of outreach has become as easy as taking a walk in the park. This innovative evolution in email marketing has, however, led to a near-complete wipe-off of a once vibrant job position; and with even more technological breakthroughs bound to occur in this important area of digital marketing, it is not an exaggeration to suggest that manually sending emails for outreach campaigns is certain to become an extinct task. Efficient outsourcing appears to be the only viable alternative to a complete replacement of corporate personnel with Artificial Intelligence. Although it can’t be argued that AI is still the most cost-effective solution to the shortcomings affecting corporate operations, one must wonder if the potential unrest that is likely to occur due to mass unemployment is enough to deter those in authority from sanctioning full overhaul of the entire corporate structure. 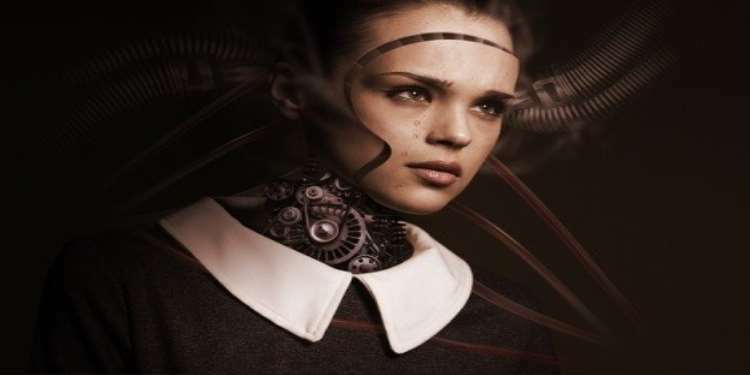 Another challenge the use of AI faces is the propensity to suffer regularly cyber-attacks, which is likely to lead to the loss of trust and of course, reliability issues. The truth is that there is simply no guarantee that any AI tool put in place in a corporate system won’t be prone to attacks from hackers and cybercriminals. Even now, the unreliability of AI systems continues to rear its head with hacks after hacks being reported on a consistent basis, and unless future tools can guarantee 100% immunity to external influences, it is difficult to see businesses and companies wholeheartedly endorse the use of these new programmes. Outsourcing, however, continues to proceed down the path of innovative modifications with new features being added to freelance platforms in other to maximize efficiency and improve output. Hence, even though AI seems to be the final destination of the corporate vehicle, the sojourn in outsourcing may be a temporary respite that is stretched out even longer.